We drive through southeast Iowa to visit family. About 20 minutes of our journey parallels the BNSF railway (Burlington Northern – Santa Fe). It is a heavily used freight line and is also used by the California Zephyr of Amtrak between Chicago and San Francisco. We usually see at least one freight train during the time we are near the tracks. Often, we see a long train loaded entirely with coal. The road is often only 100 ft or so from the track giving us good views. 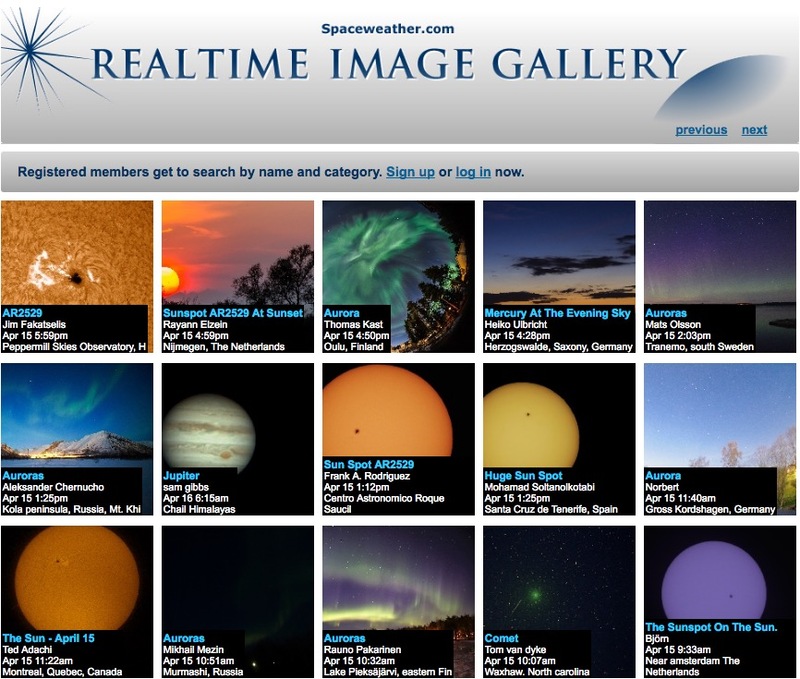 Try zooming and dragging this window to change your view. I’ve wondered how many cars typically make up the coal trains. It is not easy to count them, especially while I am also driving. My guess has been around 100 cars. I wondered if Google Maps might help me find out. 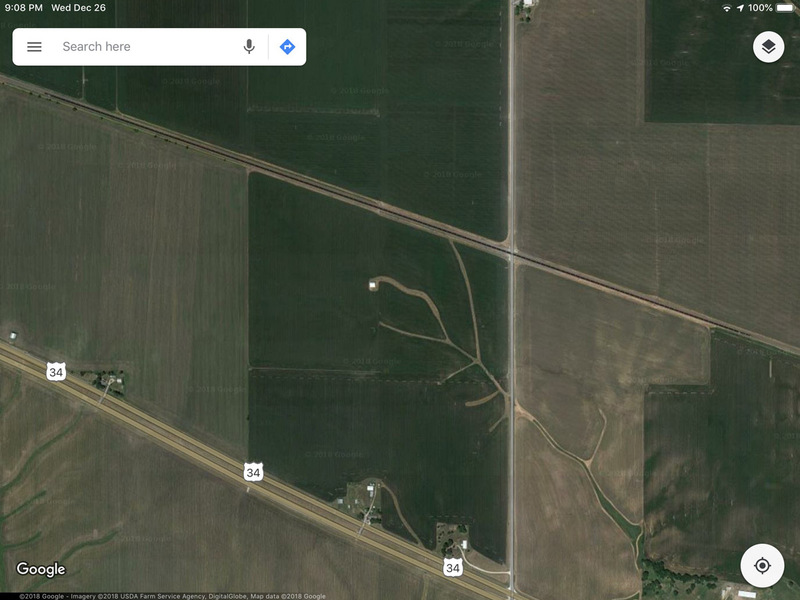 I located the route in Google Maps and started scanning the tracks between Ottumwa and Burlington. It didn’t take long to find a long train. I zoomed in for a closer view. 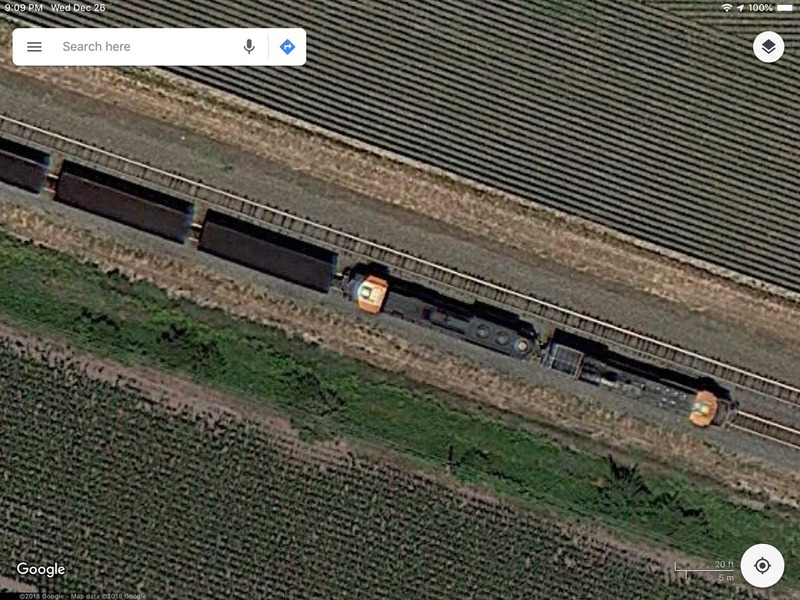 Two BNSF engines were pulling and one engine was in the rear of the train. Each car was full of coal headed east from Wyoming. I counted 139 coal cars and 3 engines. I used the measure tool to find the train length was 1.40 miles. Using those values, I calculated a coal car length to be 53.2 ft. The web site for CSX, manufacturer of open-top hopper cars like these, says their cars are 52.5 ft long. Sure you’re not retired CIA. Two of my trail crew friends did this kind of work for 30 years. When SPOT and the other commercial imagery satellites were allowed to collect, those of us in government were wary and excited. It meant some secrets would be harder to keep, but also that a lot of folks would be doing our work for us. They enemy couldn’t hide much either. Unintended consequence: My county tax collector uses imagery to see if we’ve built anything without a permit! 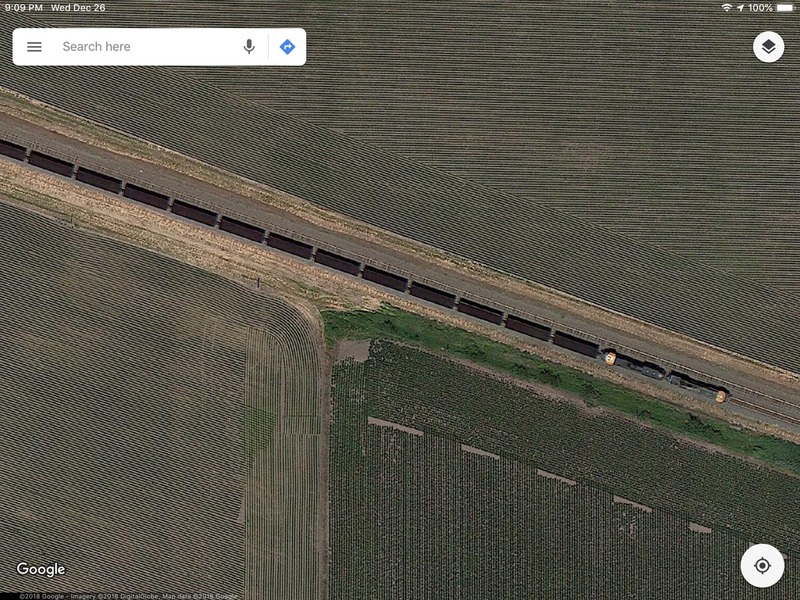 “Coal Train From Space” sounds like the name of a West Virginia garage band. See if Abby can get better resolution for you. She can probably see the engineers’ lunches. 🙂 Interesting how much we can learn if we only think to look. Abby Normal? I know who you mean.😊 Wasn’t she replaced? You think they miss us as viewers? Thanks Bob. I appreciate hearing your account. It sounds like you might have come home rather dirty at times. You mom was probably not surprised. There are many creative ways a young boy can get dirty. Our town is crossed in 4 places by a single track; another line runs just to the south~both run toward Chicago. Freight trains craaawwwllll through, and often stop altogether, completely blocking us in. One town just to the north of us sometimes is blocked for over an hour by stopped freight trains. I think ours are full of dirty oil from the tar sands of Canada, another reason to hate them as I do. At huge expense to the towns, we do now have 2 very attractive tunnels which helps but you still have to detour quite a bit to use them when there is a train. 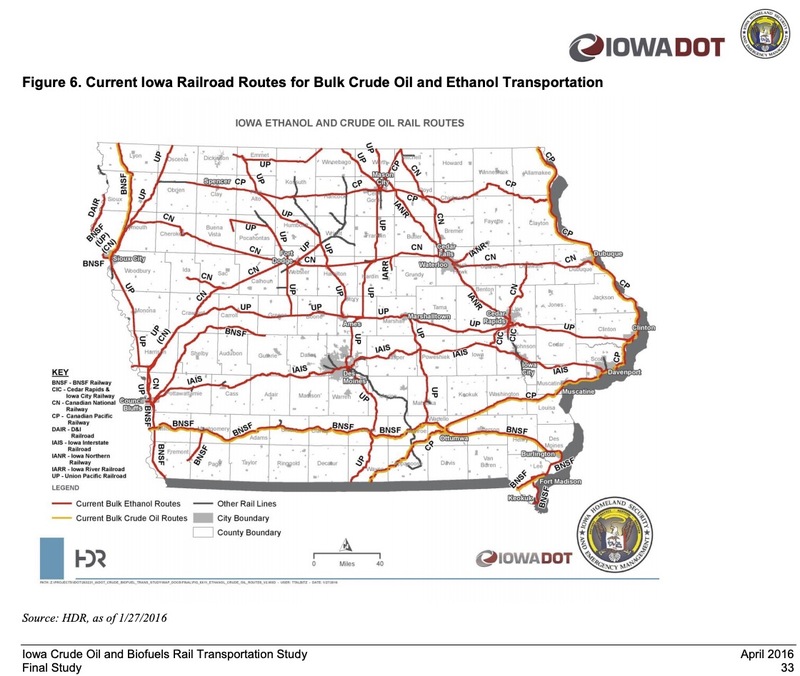 We have quite a few ethanol and crude train routes across Iowa. The ones along the Mississippi and Missouri Rivers pose high risk environmentally. But, spills into any river or stream are terribly damaging. Yes, and let’s not forget the trains that derailed and blew up a town or two…was that 2 years ago?? ?